The youngest and most eagle-eyed of us spotted a jumping spider making a meal of a fly. The fly had landed in the middle of a window pane and spider grabbed it. An impressive feat. This spider has six eyes. 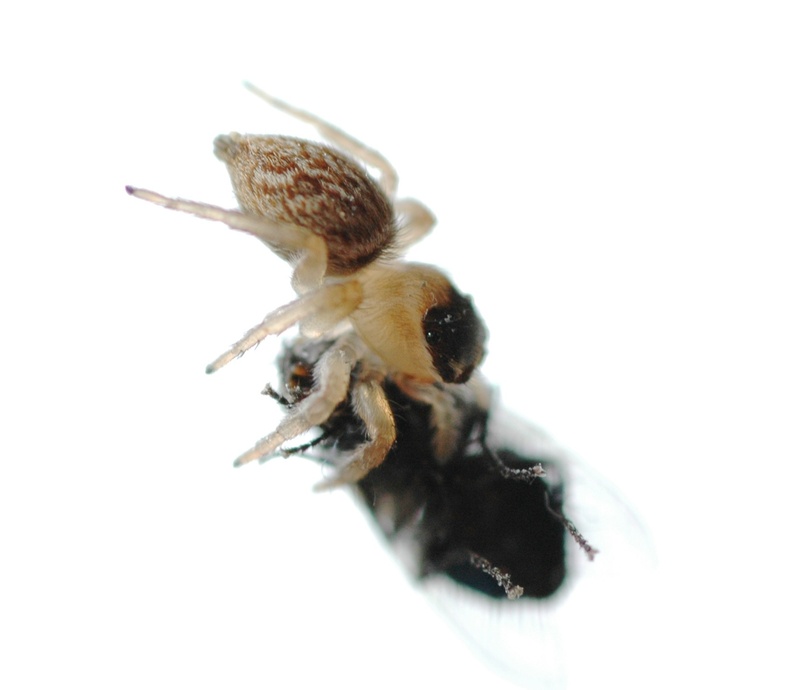 The pair at the front move in tandem and give the spider 3D vision for approaching and catching prey. 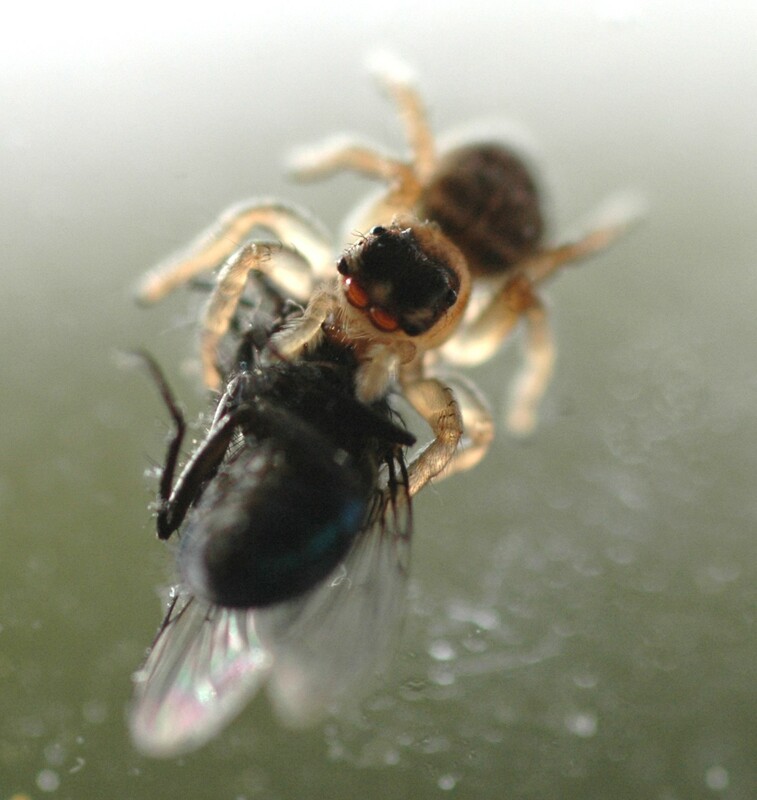 The next day, the dried husk of the fly was on the window ledge and the spider was back patrolling the windows.